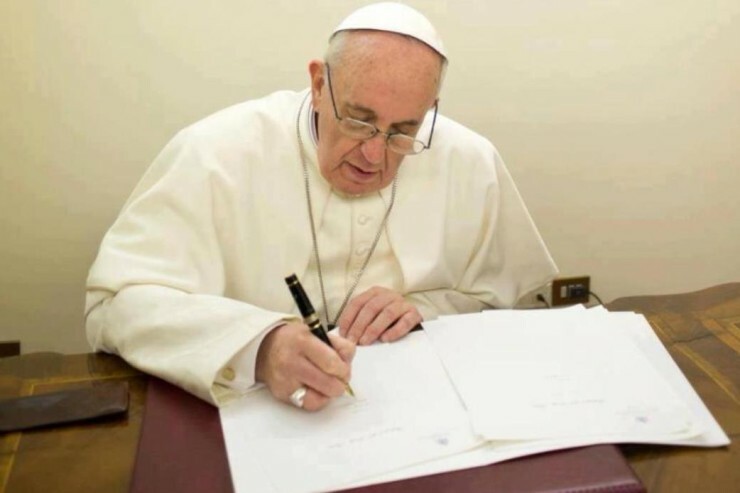 Here is the message from Cardinal Pietro Parolin, Vatican Secretary of State, on Pope Francis’ behalf, to Cardinal Angelo Bagnasco, President of the Council of European Episcopal Conferences (CCEE). The group is meeting September 13-16, 2018 in Poznan, Poland. His Holiness Pope Francis sends his cordial best wishes and greetings to the participants in the Plenary Assembly of the Council of European Episcopal Conferences taking place in the diocese of Poznan in Poland. He encourages those present always to find new ways to achieve a generous and responsible solidarity, identifying paths of fraternal pastoral collaboration, in the wake of the spiritual values which have shaped the thought, art and culture of Europe. The Holy Father hopes that the important meeting will contribute to strengthening the bonds of communication between the European bishops, giving further stimulus to the mission of the Church, especially to young people, helping them to re-discover the fundamental contribution of faith to the unity of the European continent. With such wishes, while asking for prayers for his Petrine ministry, the Pope willingly imparts the desired Apostolic Blessing. From the Vatican, 29 August 2018. Card. Pietro Parolin, Secretary of State of His Holiness.